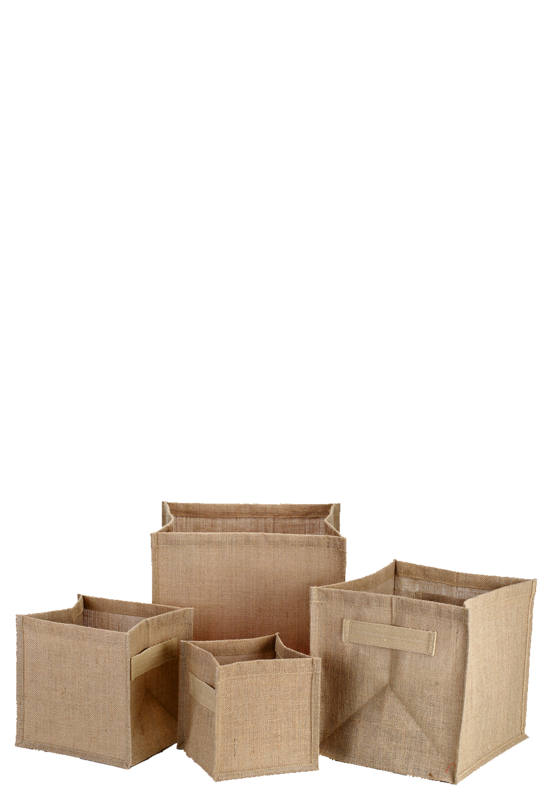 Available in various sizes, these square-shaped bags are foldable basket storage bins made from Jute fibers that serve the light weight storage need in your house. In this basket storage bin you can keep your toys, books, art and crafts materials and even your clothes. Owing to its foldable property, you can fold it and keep aside. This saves on your valuable space when not in use. Approximately, these baskets measure 29 cm in height, 29 cm in width and 29 cm in depth. With the use of this bag, you can add fun and high storage functionality to your home or in your office space.Available in various sizes, these square-shaped bags are foldable basket storage bins made from Jute fibers that serve the light weight storage need in your house. In this basket storage bin you can keep your toys, books, art and crafts materials and even your clothes. Owing to its foldable property, you can fold it and keep aside. This saves on your valuable space when not in use. Approximately, these baskets measure 29 cm in height, 29 cm in width and 29 cm in depth. With the use of this bag, you can add fun and high storage functionality to your home or in your office space.